Kaplan Business School (KBS) is a specialist provider of recognised higher education degrees with undergraduate and postgraduate courses. KBS were suffering due to a time-consuming and resource-intensive, manual enrolment process that was providing a disjointed experience for students and leaving Kaplan employees feeling frustrated during the lead up to, and enrolment of, each trimester. 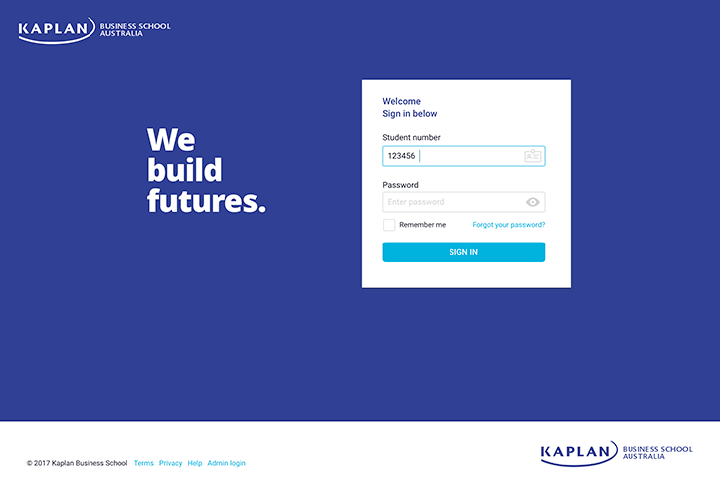 A new online enrolment process was identified as a critical first step to ensuring in the future success of the Kaplan Business School and its students. 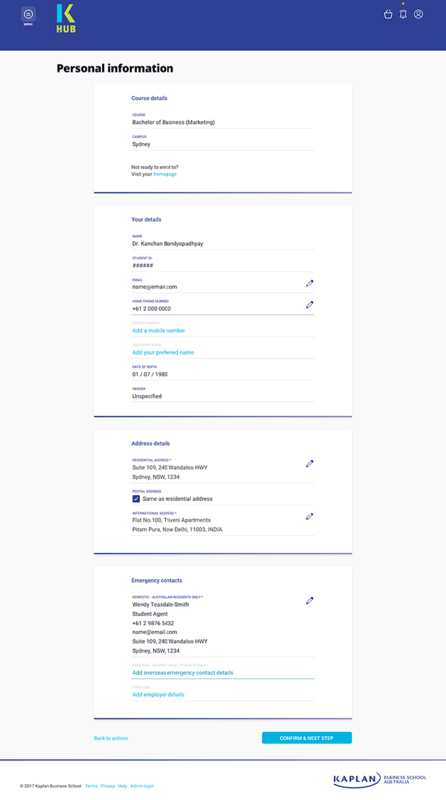 Interesting partnered with Kaplan to replace the current enrolment process with a new Online Enrolment Portal minimum viable product (MVP). Interesting kicked off the project with a series of workshops with key stakeholders. These workshops aimed to help Kaplan understand what features and functionality were required to get a working product to market in a cost-effective and timely manner. Consolidate the current state manual processes into a single online enrolment process. 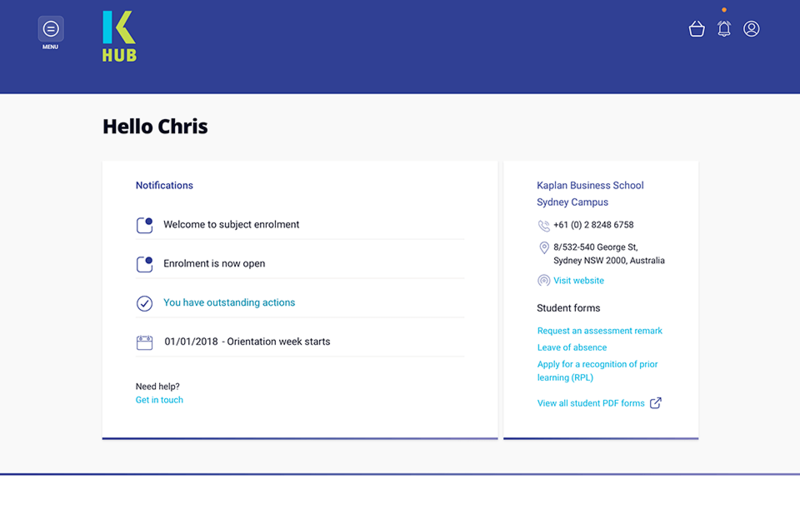 Create an on-brand and user-friendly student journey that delivers critical enrolment information to students in the format of their choosing. Build an easy-to-use and efficient administration area that allows Kaplan employees to maintain and update course, subject and student data. Deliver a reusable MVP that sits on Amazon Web Services (AWS), leveraging its rich feature set, using Angular 5 and Node.js as its frontend technologies. The solution we delivered to Kaplan cultivates connected, always on students and encourage progression. It is a robust, fast and flexible. Built using scalable technologies that protect student data at all times. 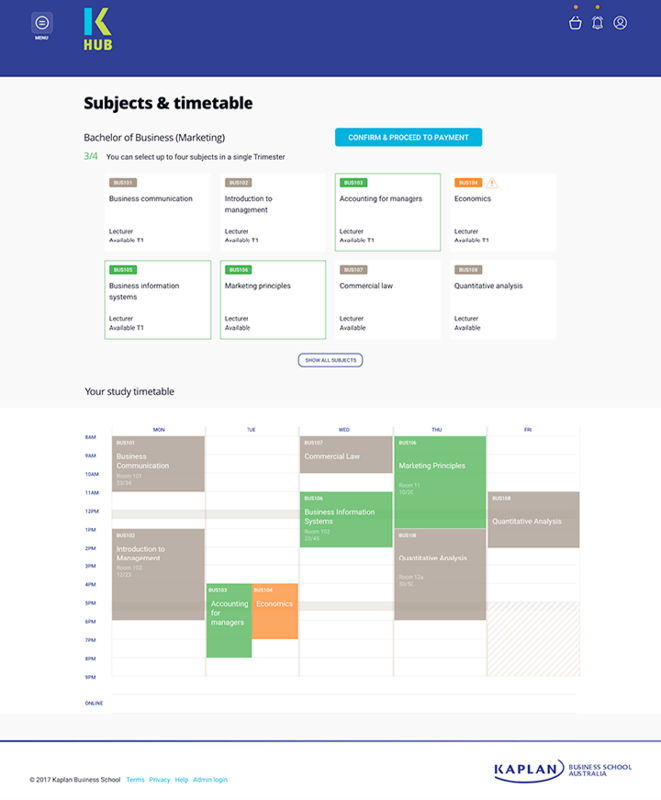 It will help the Kaplan Business School get, and stay organised with easier student and course management via a user-friendly administration area. Delivered, as an MVP, our solution can grow and adapt to the business and student needs. Kaplan sees this opportunity as an essential step towards building a life-long association with their students, especially crucial as educational trends continue to shift towards the idea of continual learning. K-HUB - The new Online Enrolment MVP, was successfully launched on time to a small cohort of students March 2018 with a successful 100% enrolment completion rate. User feedback and quantitative data are now being used to define features and functionality for future phases.